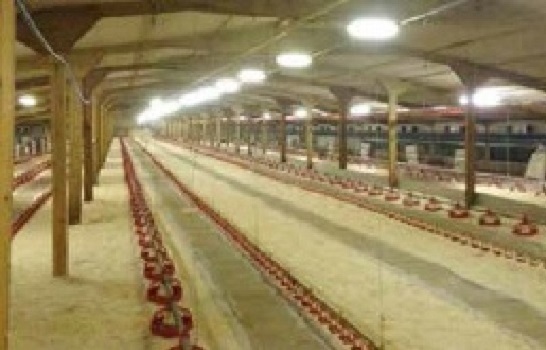 Moor Farm based in Lincolnshire is a poultry producer supplying to one of the largest poultry processors in the UK. 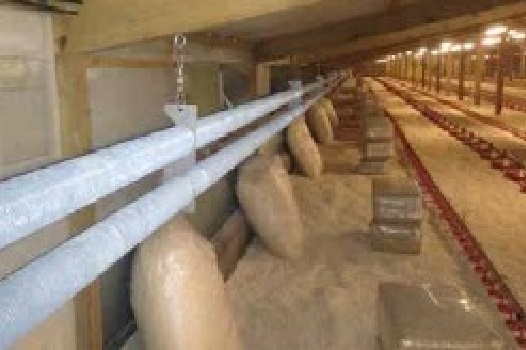 The farm consists of 7 broiler sheds. 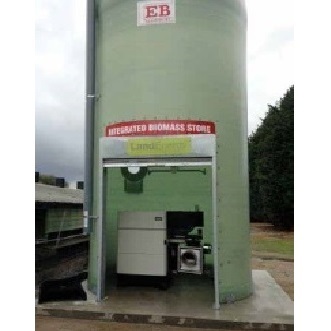 Land Energy and WES designed a novel biomass heating solution for the poultry sector whereby the 199kW E-COMPACT biomass boiler sits underneath the 10 tonne biomass store. A roller shutter door is closed to secure and weather the boiler in the ‘plant room’ underneath. The Boiler was delivered to site on a ‘skid’ with the flow and return pipework factory fitted and this pipework comprised of ‘header,’ pumps, PRV, heat metre and valves. This made the installation a very efficient process. Time was a critical factor as the shed was cleared for a crop changeover cycle and day old chicks were being housed on the following Monday. Land Energy used a finned pipe system around the perimeter of the shed instead of the typical fan coil systems traditionally used. The pipework contains 600L of water and disperses a nice consistent heat at 32° C when the birds were introduced. The farmer has since installed three 199kW EcoCabins and is now heating his entire farm with wood pellets. Poultry farmers require consistent heat and as a result have large energy bills. Most farms are off the gas grid and so used predominantly LPG as their heating fuel. 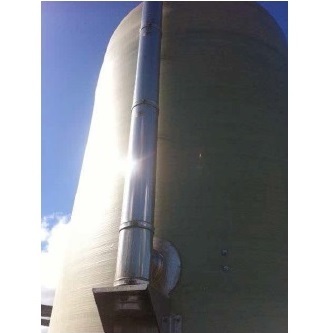 By switching to wood pellet Moor Farm can expect to reduce its fuel bills by 50%. On top of that they can expect to earn between £16,000 and £22,000 per shed (varies depending on heat load) from the RHI p.a for the next 20 years. This represents spectacular savings for the poultry farmer. © 2019 BEEHIVE ENERGY ASSESMENTS Designed by TAWN!